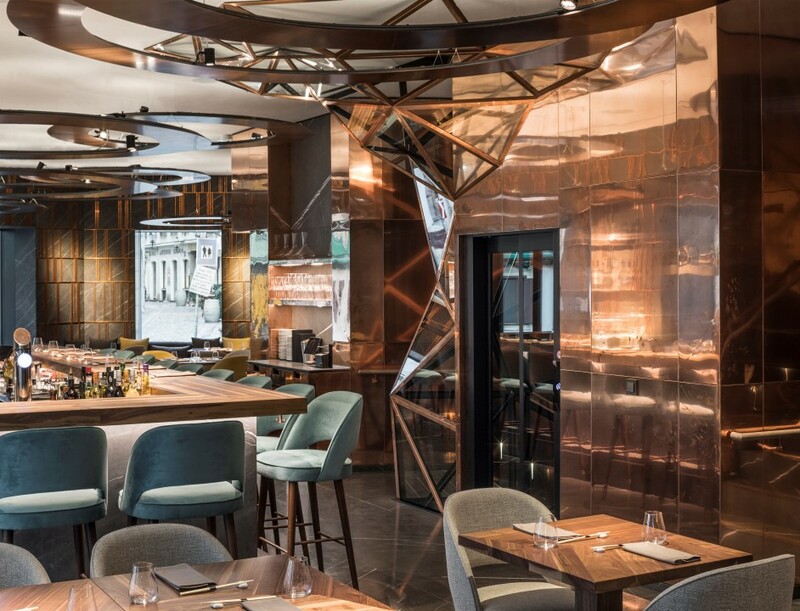 Ai Restaurant – Located in the heart of the city’s first district, in the historical yet fashionable Golden Quarter of Vienna, resides Gatserelia Design’s Ai restaurant; the innovative Asian restaurant that is set to bring a stylish and edgy new vibe to Vienna’s urban dining scene. 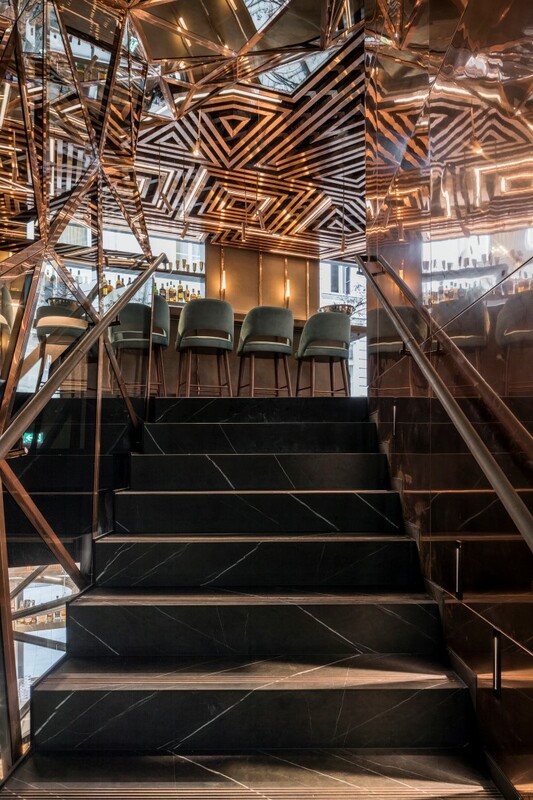 Gatserelia Design’s Ai (Japanese for love) 130-cover restaurant is set over two floors and includes additional bar seating. 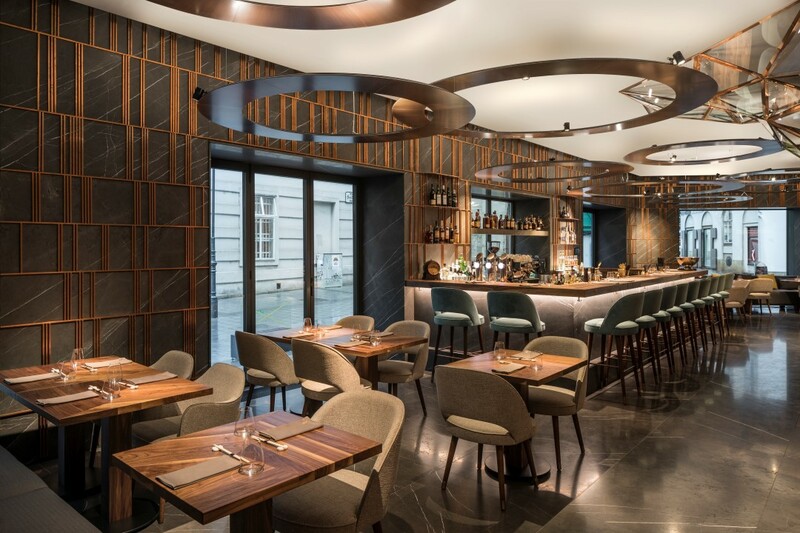 Ai Restaurant incorporates a robata grill, sushi bar and cocktail lounge opened for lunch, dinner, and drinks. 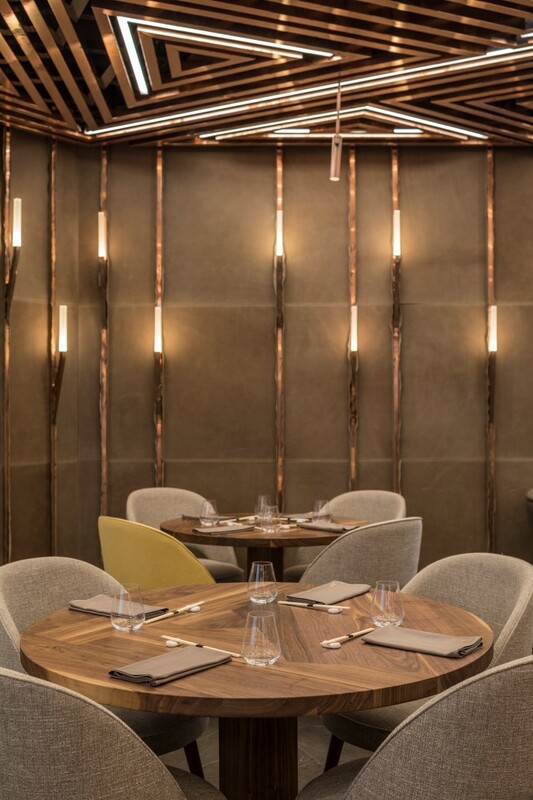 Corporate executive chef Samuel Wilkes has worked together with head chef Sören Herzig (formally of Juan Amador’s 2 Star Michelin restaurant) to create signature dishes such as Baltic sea cod with red yuzo kosho and Asian slaw, and Alpine beef tenderloin with soy butter and truffle potato. 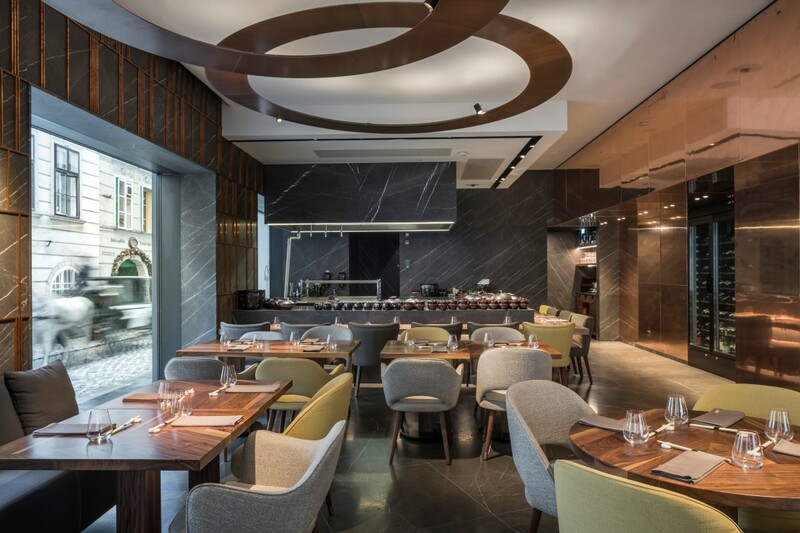 Presiding over the sushi bar is Japanese chef Tun San who has spent nearly two decades perfecting his craft in the Chiba Region of Japan. 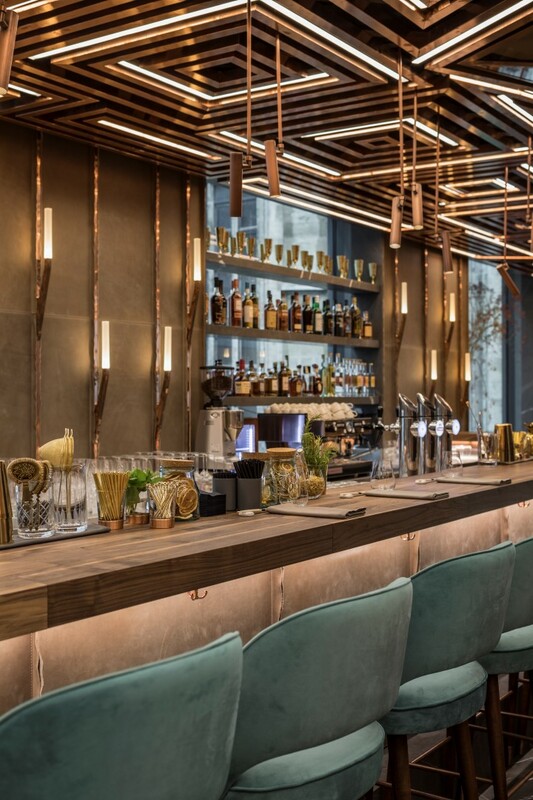 The cocktail collection is equally as impressive, with Isabella Lombardo, one of Vienna’s top mixologists, presenting a selection of creations inspired by Japanese pop art. 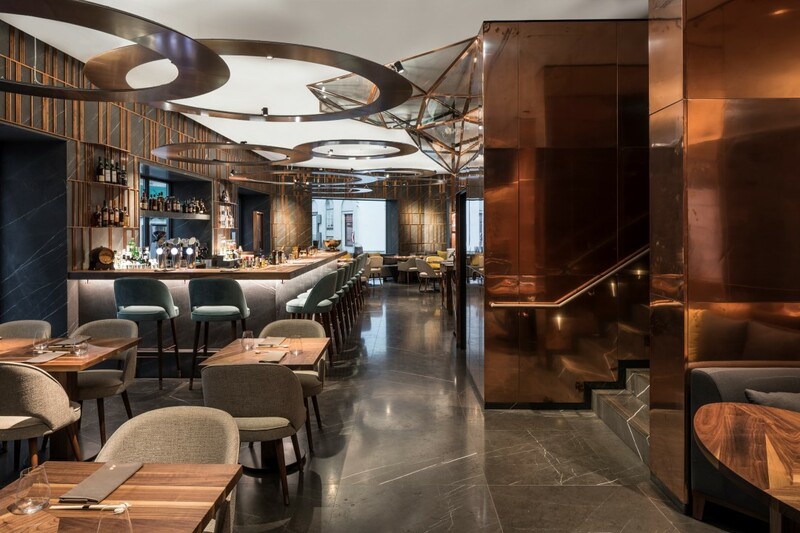 Surrounded by a well-heeled clientele, at Ai one can enjoy not only refined cuisine, but also can enjoy this perfect location, ambience, service and a stunning aesthetic. 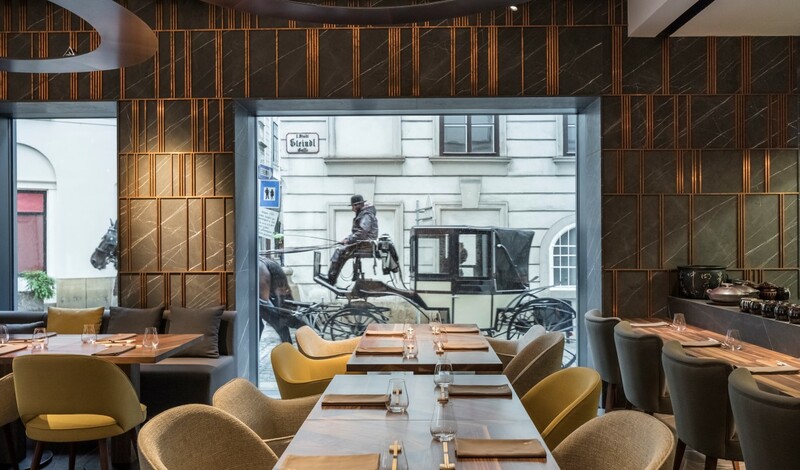 Entirely designed by Gregory Gatserelia of Beirut-based studio Gatseleria Design, Ai restaurant is his first in Vienna and is a testament to his love of embracing the old by introducing the new. 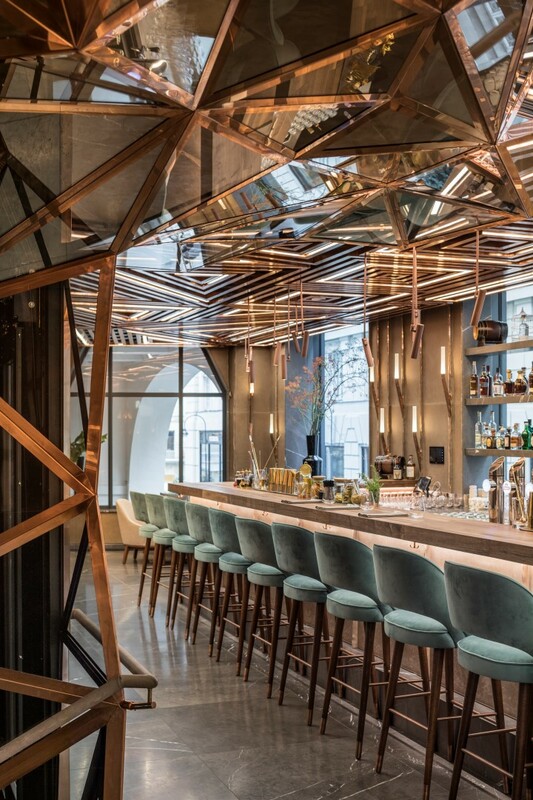 The absence of perfect geometry in the existing site allowed Gatserelia Design to embrace uniqueness and present true originality to the Viennese. 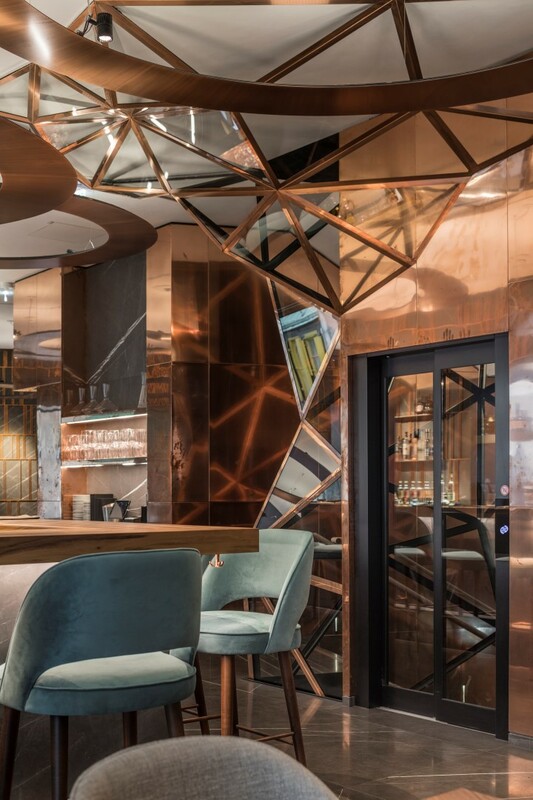 Set in an already deconstructed space, the design of this space does not dictate a specific structure but rather embraces the existing by featuring geometrical and sculptured elements, alongside a warm palette of materials. 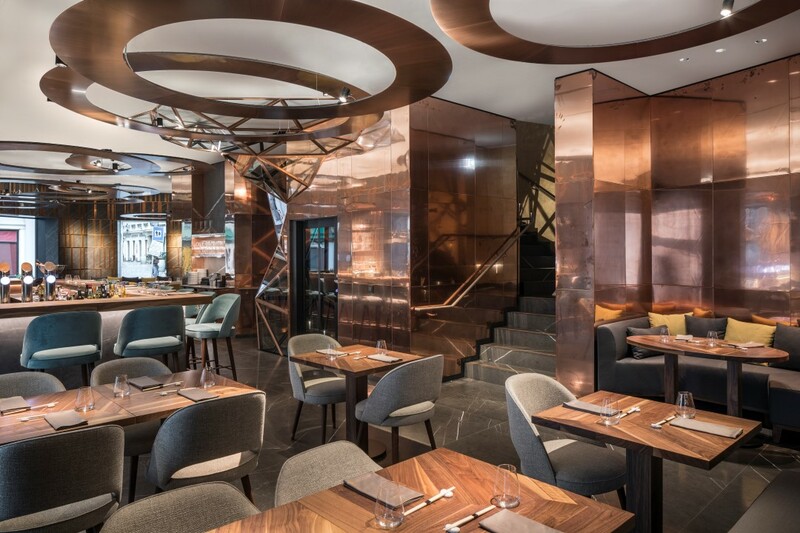 Besides the sculptural staircase and glass-enclosed elevator that animate the movement from the robata grill to the sushi bar, the lighting and ceiling are key features. 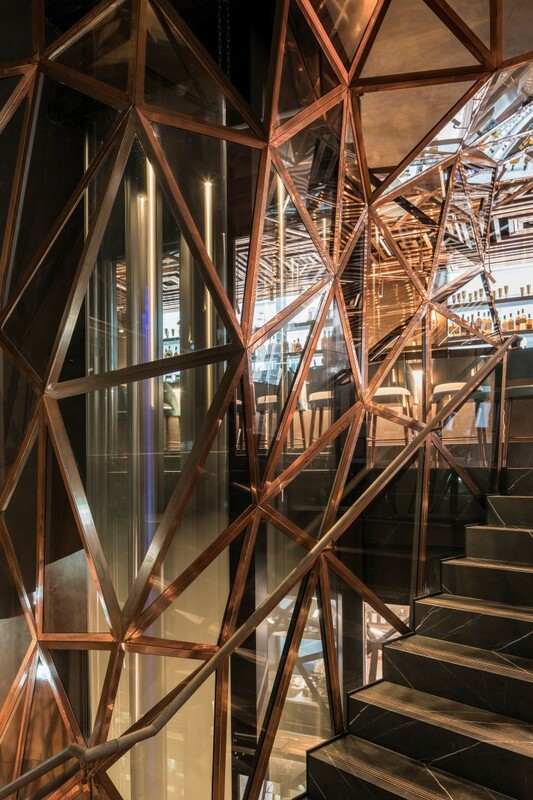 Round suspensions on the ground floor are designed to soften the sharp edges of its surroundings. 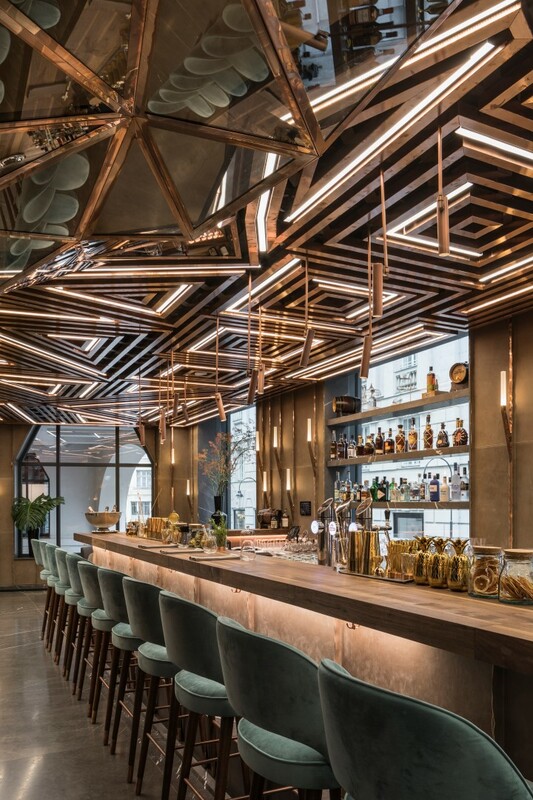 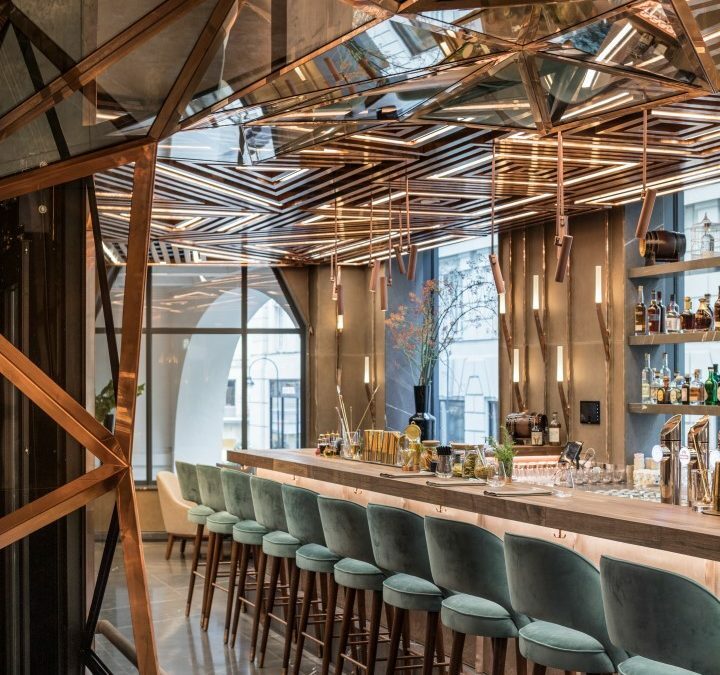 On the top floor, Gatserelia Design used a dynamic copper grid to conceal the ceiling’s technical components whilst also playing with light and lines, transforming by the end of the night the ambiance of a restaurant into that of a happening lounge – a nod to Vienna’s future. 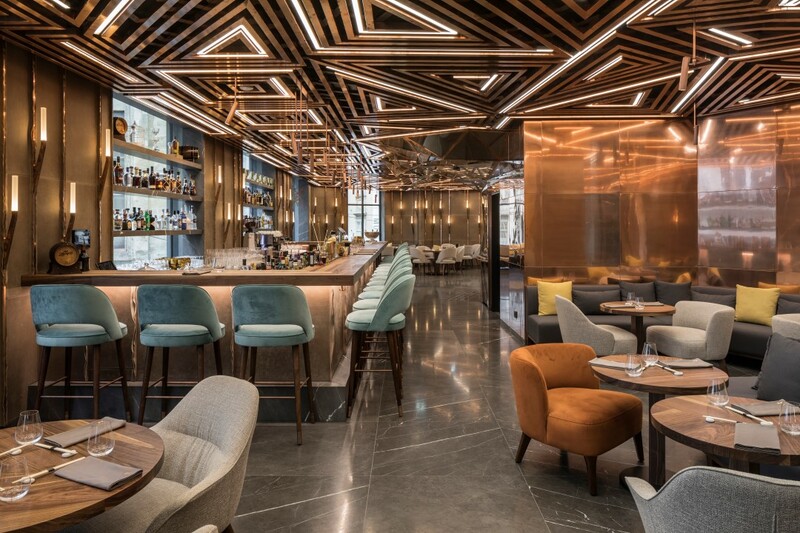 Awash with elegance and warmth through the choice of materials and color palette, Gatserelia Design chose Badoglio imperial marble which lays noble on the floor and walls; copper is omnipresent in the panels and lighting features, creating warm reflections of clinking glasses and chattering silhouettes; leather is meticulously stitched to the bar and walls and the American walnut has been used on the tables. 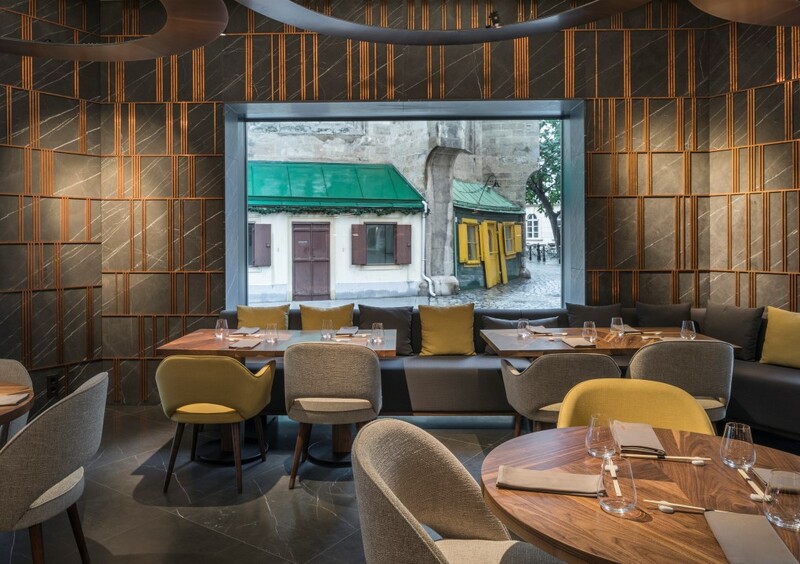 A bouquet of unexpected shades of grey, blue, yellow and orange, all work in combination on the upholstered furniture, leaving the entire space noticeably absent of any kind of white – a homogeneous contradiction in the Golden Quarter of Vienna.